Home CRPS/RSD Will This Hemp-Based Oil Replace Opioids & OTC Pain Relievers? Even though legalization of marijuana is on the rise in the United States, the number of physicians who prescribe it is still quite low. Many are unsure of what dosages are needed and exactly what it can or should be prescribed for and in what forms, not to mention the murky legal issues that still need ironing out. One thing is for sure, though, there is definitely a paradigm shift whereby physicians and patients alike are talking about it, especially when it can come in formats that do not cause a “high” like opioid drugs, which have been used to treat pain so much that now there is an epidemic of prescription opioid drug abuse. Considering this epidemic and the enormous number of people who suffer from chronic pain, it behooves us all to talk more and understand the medicinal benefits of cannabis better and decipher what information is good and what is not so good. Having said that, it might be good to first understand that the close to 900 different products in the market can be made from one or both of the two variations of the cannabis plant: marijuana and hemp. In addition, not all of the chemical compounds (called cannabinoids) found in the cannabis plants, are created alike. Some make you “high,” and some don’t. Scientists have also discovered that the bodies of all mammals have their own cannabinoid system, called the endocannabinoid system (ECS). This means the body produces a variety of chemicals that bind to millions of receptors (receptors are tiny proteins attached to your cells that receive chemical signals from different stimuli and help your cells respond) located throughout the brain, central nervous system, and rest of the body. These chemicals and their receptors act to regulate the body’s state of balance, influencing your mood, emotional state, learning, memory, sleep, appetite, digestion, pain, immune response, and hormones. In other words: They’re really, really important. When it comes to the endocannabinoid system, there are two major receptors: CB1 receptors are found in the central nervous system and brain and CB2 receptors are found in the immune system. Cannabinoids ingested from plants influence our body’s ECS, which means they have the potential to affect your mood, memory, appetite, immune system, and so forth. The reason marijuana causes a “high,” or mood alteration, is because THC binds to CB1 receptors in the brain. Where and how different cannabinoids interact with receptors in the body is what makes them unique. The cannabinoid THC, for instance, binds to both CB1 and CB2 receptors. For this reason, THC has the ability to affect all the mentioned bodily systems and cause the “high.” CBD, on the other hand, barely binds to these receptors at all. In fact, CBD seems to exert its effects on the ESC through other pathways completely. Indeed, scientists have found that even at high concentrations, CBD exerts its effects through over 60 molecular pathways. Because CBD fails to bind to CB1 receptors in the brain, the “high” you get from THC doesn’t occur. That being said, it does bind to other receptors involved in mood, cognition, and memory, so CBD can influence other aspects of the mind and mood, including emotions, feelings, and perception. For example, studies have foundthat CBD binds to the 5-HT1A (serotonin) receptor, which can have the effect of reducing anxiety, among other things. The reason both CBD and THC help treat pain, however, isn’t only due to their positive effect on inflammation. Both compounds influence the brain and nerve pathways, meaning they affect how we experience and perceive pain. You see, the experience of pain has many components, and it’s a complex phenomenon. Pain that results in the same injury in two individuals, for instance, can be experienced entirely differently by each person. This has to do with the sensory system of the body when the tissues incur damage but also the amount of inflammation the ensues, the person’s mental attitude toward pain and injury, the influence of the culture they come from with regard to injury and pain, their perceptions around their ability to function, what damage means with regard to being a whole and complete person, whether or not he or she will heal, and so on and so forth. And of course, when or if the pain becomes chronic, even more variables are involved, whether the pain is due to an ongoing disease or pathological issues with the nervous system (neuropathic). The research on hemp oil and pain. 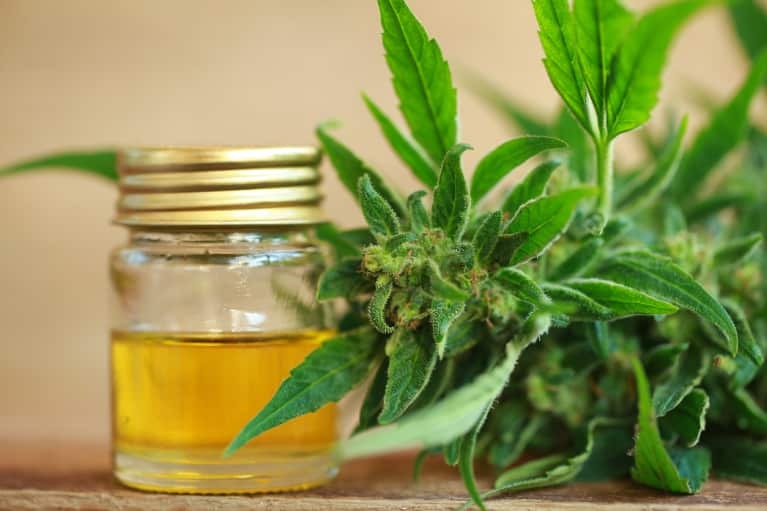 If you find the hemp-derived CBD simply isn’t helping, you might then want to try the marijuana-derived products, and for this, you will need to work closely with the medical professional who is doing the prescribing to see what is best for you. If you are one of the millions of people affected by chronic pain, CBD may be an option for you, and if you are interested in knowing more, your first step should be discussing it with your doctor or knowledgeable health care providers and taking everything you read on the internet with a grain of salt—especially when it’s written by a company that sells CBD products. If your own doctor is not knowledgeable or is uncomfortable talking about CBD, you may choose to speak with a doctor who is educated on the subject and belongs to the many marijuana dispensary clinics throughout the country. Here’s how to find one near you.